Researchers have developed a new eye test that could identify one of the leading causes of permanent sight loss before people even realise they have a problem. During phase one of the clinical trial, doctors at University College London (UCL), Imperial College and Western Eye Hospital believe they might have found a way to make a glaucoma diagnosis and begin treatment up to a decade sooner than waiting for the condition to show. Glaucoma is a condition that causes the light-sensitive cells in the retinal nerve to die. Typically this happens due to an increase of pressure in the eye. Most types of glaucoma have no symptoms, and the danger with glaucoma is that irreversible sight loss damage can happen without the person realising they have a problem. The new test involved fluorescent dye being injected into the blood stream. The dye then sticks to the unhealthy cells in the retina before they are about to die. Photos are then taken of the back of the eye and the susceptible cells appear white from the dye. Researchers compared images from eight people with early glaucoma and eight healthy people, and showed that white spots were more than twice as common in people with glaucoma. They also seemed more common in people whose glaucoma got worse quickly over time. 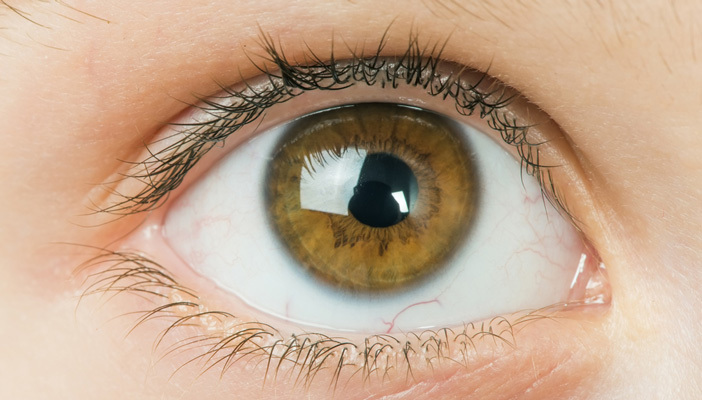 Professor Francesca Cordeiro, from the UCL Institute of Ophthalmology, said: "For the first time in humans we have a test that identifies [glaucoma] disease activity before the disease develops. Professor Philip Bloom, from the Western Eye Hospital in London, added: "Treatment is much more successful when it is begun in early stages of the disease, when sight loss is minimal." Currently, treatment with drops can often prevent glaucoma causing sight loss but it cannot repair damage if it not caught quickly. The trail has only been carried out with 16 people and the report published in the journal, Brain, says more research is “clearly needed”. Trials of medicines and tests go through three phases to ensure they are safe and effective. The researchers must now carry out phase two and phase three trials on a bigger scale to confirm their initial results.